We were out of town most of the weekend so I'm a little late in submitting my little project this week. I actually made these this afternoon. 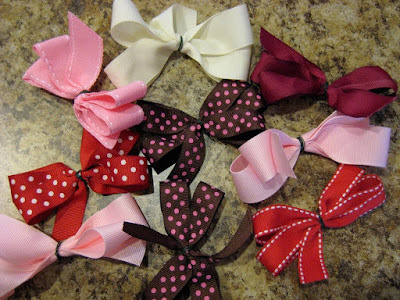 It's funny at 8 months you feel like you will have enough bows to last you a lifetime then at 15 months you look up and the only bows in sight are the ones you never really liked to begin with or they never matched an outfit your little girl ever wore. So to solve my little dilema I created a bunch from leftover scraps. 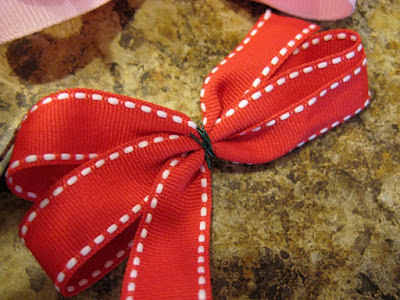 There are many tutorials out there with great instructions for every type of bow imaginable. I just keep it simple (since you may get to use them twice before a monkey at the zoo has snatched it.) Really I've lost count how many bows I've lost at the zoo. 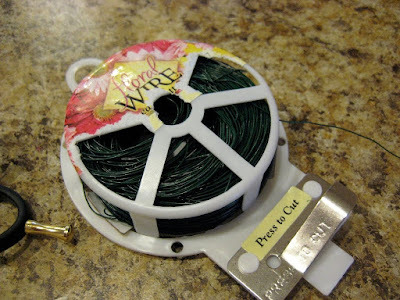 You need some of this...the thinnest floral wire you can find. It cost less than 3 bucks and will last a lifetime unless you decide to actually arrange flowers. Make two loops on each side and have the ends on opposite sides. 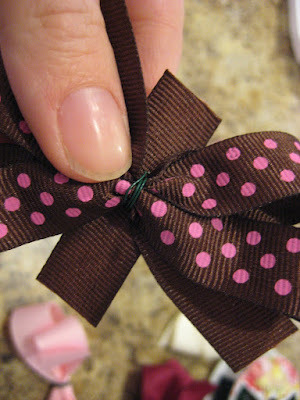 Then wrap the floral wire around the middle. This is where you want to make sure the loops are spread the way you want them because it won't change much from this point. Next cut a little piece to wrap around the middle. 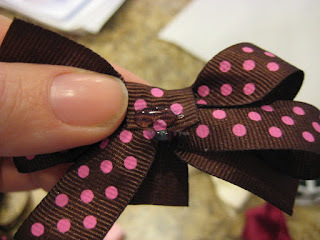 Put a dot of hot glue in the center and wrap one end. Not sure why this is sideways but you get the point. Small dot of hot glue since it spreads out and stick the other side down. 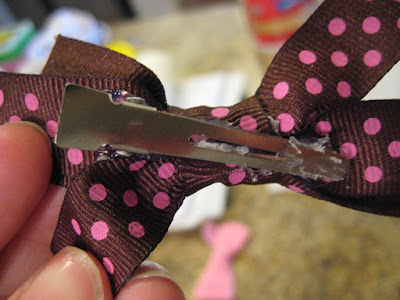 Now glue the clip to the back. I got my clips from a Beauty store (100 for $4). A little bit of extra glue is fine for me since it helps hold it in fine baby hair. 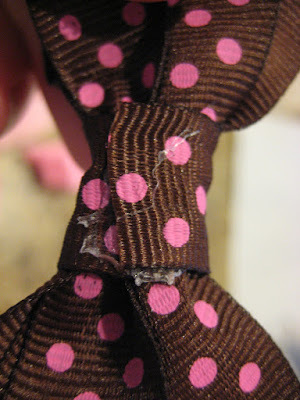 Just make sure your clip opens and the two sides aren't glued together. All done...I would have Savvy model but it's nap time. 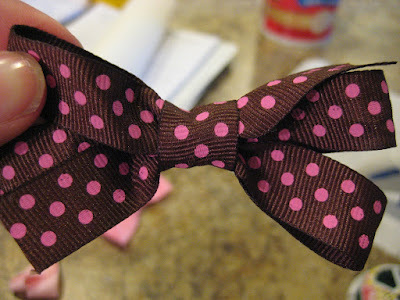 These are the bows I worked on this afternoon... I have found it is easier to do it kind in an assembly line fashion. Much quicker.